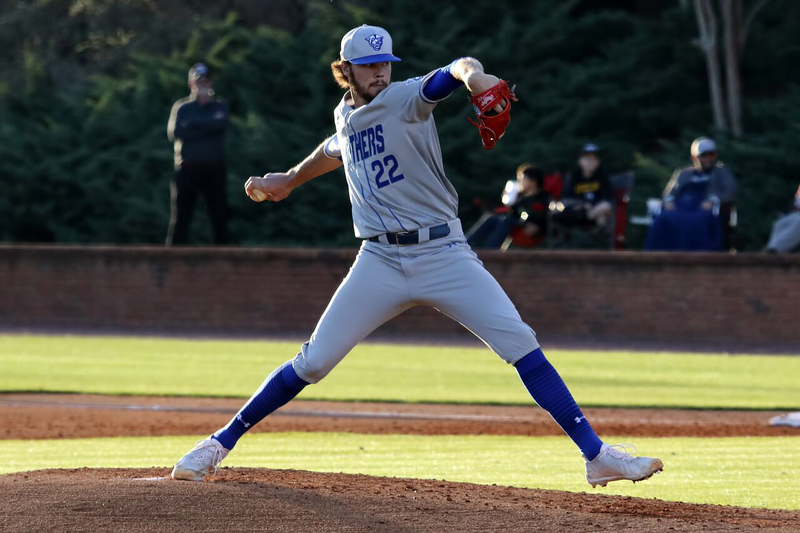 Georgia State’s sophomore pitcher Hunter Gaddis earned the grand opportunity to play for the Team USA Collegiate National Team last year due to his impressive freshman campaign. The chance to play at that level was considered to be an honor for Gaddis. He is the first Georgia State Panther to play for Team USA. The numbers speak for Gaddis if one is pondering on the thought of how he received an invite to play for the national team. As a freshman, Gaddis finished the season with a 4-4 record and a 3.72 ERA. He also led the team with 67 strikeouts, against 19 walks and 75 innings pitched. Although he had a striking first year on the mound, Gaddis says that he is even more confident this year being that he had the experience of playing for Team USA. Gaddis also said that being a part of last year’s Collegiate National Team provided a chance for him to further learn about the game of baseball and how to pitch at a high level. The Sun Belt Conference is competitive, but being able to compete with collegiate baseball players from institutes that are more advanced and skilled allows a player such as Gaddis to take advantage of studying the game and apply it to the way he approaches the sport. Most are aware of the “sophomore slump”, a sports myth that freshmen athletes encounter after having a stellar first year. Well, Gaddis is off to a promising start to his sophomore season. He is in a two-way tie for first place in the Sun Belt win four wins. When asked if he feels any pressure to continue to dominate as he did last season, Gaddis shook his head. There is no one pitcher in the Sun Belt Conference that is overpowering hitters and solidifying themselves as the best pitcher in the league thus far. Nonetheless, Gaddis knows what it will take to separate himself the pack. He prides himself on being discipline while on the mound, but being a consistent threat is often a challenge. Gaddis frequently spoke about playing for his teammates. Moreover, his personal goals are team-oriented. He says that he wants the Panthers to reach the championship round in the Sun Belt Conference tournament and ultimately win a championship. He went on to say that he’s working diligently to earn Sun Belt Pitcher of the Year perhaps. One person that would be delighted to hear Gaddis speak such words of optimism is legendary head coach Greg Frady. Frady acknowledged Gaddis’ ability to lead the team when he is on the mound and credited the young pitcher for an astounding freshman year. “I think he’s continuing to make progress,” Frady said. He continued by saying as the season progressed, so did Gaddis’ pitching abilities– so much so that the team began to feel a sense of security when he was on the mound. Gaddis understands that he is the ace pitcher for this Panthers’ ballclub, and he has to continue pitch at a high level to allow the Panthers to make significant strides from a disappointing 2017 season. If all indications are well-defined, Gaddis is equipped to pitch the Panthers to a successful season.